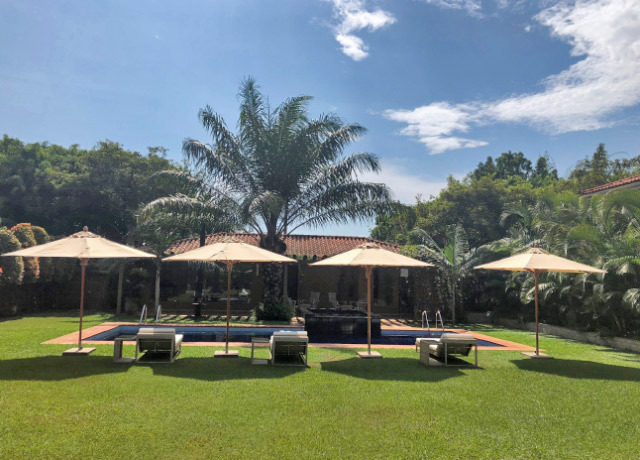 This stylish boutique hotel nestled in Entebbe’s leafy suburbs features luxurious accommodations that surround a lush lawn and palm-strewn garden with a shady swimming pool. Hotel No. 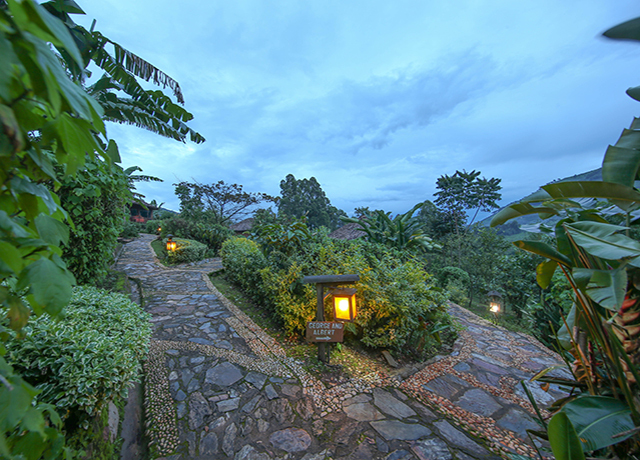 5 is a stylish boutique hotel nestled in Entebbe’s leafy suburbs, just 10 minutes from the international airport. These luxurious accommodations are a peaceful escape from the buzz of urban activity in this city on the shore of Lake Victoria. Ten airy rooms open upon a lush lawn and palm-strewn garden where a shady swimming pool begs you to unwind. Plush beds feature mosquito-net canopies and oversized upholstered furnishings are cozy and contemporary, including armchairs and writing desks. In this calming earth-toned atmosphere, polished floors are offset by soft rugs and a full wall of windows illuminates the space. Each room has air conditioning, en suite bathroom, Wi-Fi, flat screen TV, a safe and tea and coffee set. The hotel offers spa treatments and a gym, and the restaurant features a gourmet menu paired with an international wine list. Dramatically perched on the rim of an extinct volcano that has filled with water to become scenic Lake Nyinambuga, this thatched lodge enjoys panoramic views over the Rwenzori Mountains. 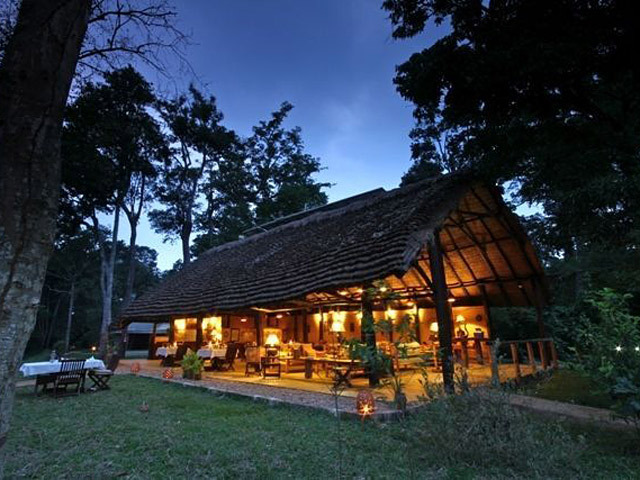 Ndali Lodge in Kibale Forest is one of the most exciting accommodations we offer... anywhere! The setting is one of the most dramatic in Africa: the lodge is perched on the rim of an extinct volcano that has filled with water to become scenic Lake Nyinambuga – 250 acres in size and 430 feet deep. The main thatched lodge has a spacious sitting room, reception area and dining room flanked by eight cottages providing luxurious accommodation for 16 guests. The west-facing cottages have a panoramic view of the rainforest-draped 'Mountains of the Moon.' Cottages are built of local stone and thatch, and the interiors are imaginatively and comfortably furnished using local natural materials. Each cottage, large enough to accommodate a family, has en suite facilities with bath, shower, toilet and wash basin, plus a private veranda, ideal for watching the sun set behind the Rwenzori Mountains, the snowcapped peaks of which are easily visible on a clear day. At night the dining room is lit exclusively with candles – the lodge has no electricity or generators to alter the tranquil atmosphere, though there is solar lighting in the cottages. The sitting room, reception and dining room open onto Lake Nyinambuga and are connected by open-air passageways. 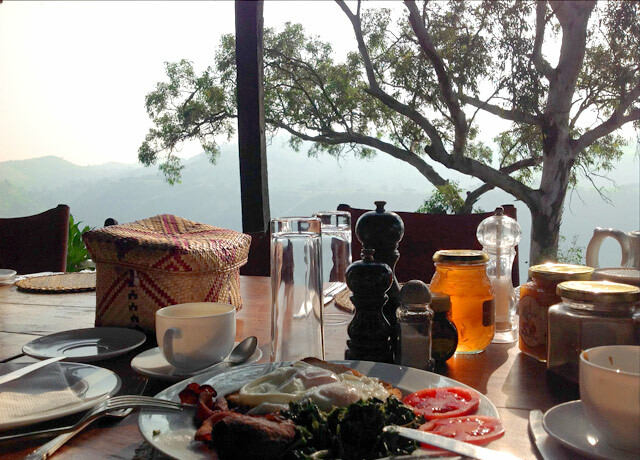 Breakfast is served on the veranda overlooking the lake, and guests enjoy freshly squeezed passion fruit juice (from Ndali's vines when in season) and homemade bread with wild honey to complement a full English breakfast. In a remote region famed for its tree-climbing lions, 10 framed-canvas tents are set beside the Ntungwe River, comfortably furnished with large mosquito-netted beds, with camp outlets powered by the sun. Ishasha Wilderness Camp enjoys an isolated setting in the remote southern Ishasha sector of Queen Elizabeth National Park on the Ntungwe River. The region is famed for its tree-climbing lions, which can sometimes be spotted resting in the branches of the large fig trees in the area. Ten spacious framed canvas tents are situated in the wooded area beside the river, each comfortably furnished with large mosquito-netted beds and an en suite bathroom and dressing area with hot and cold running water, hot ‘bush-style' showers, and an eco-friendly flush toilet. A central lounge, dining and bar area under cool thatch provides a comfortable environment for meals and relaxing during the day. A shaded area beside the river offers al fresco dining and an evening fireplace for guests to relax with sundowners and share their day’s experiences. The camp is designed to be as low-impact as possible, with carefully limited usage of water, power and other resources. Solar power is used for lighting, with power outlets limited to a central area that has been allocated for recharging cameras and other small electronic devices. Wireless Internet access is available. 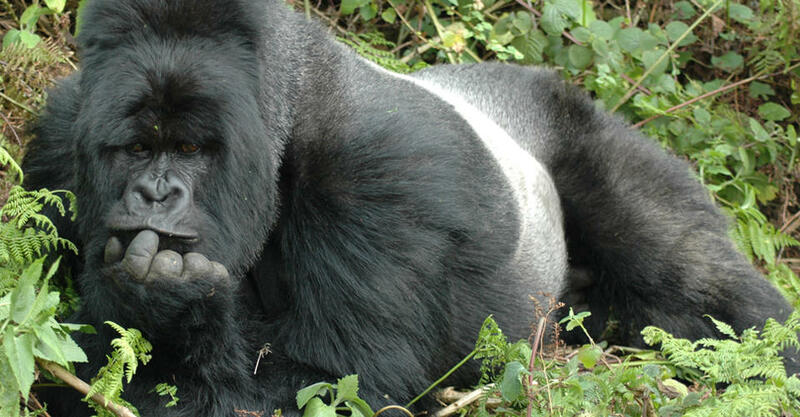 This charming, friendly lodge provides an ideal location for gorilla treks into Bwindi Impenetrable National Park. Eight spacious cottages utilize stone, natural woods and earthy, muted colors in their design, and each has a private veranda offering expansive views of the virgin rain forest canopy. Comfortable beds welcome you after a long day of gorilla trekking, and each cottage has en suite facilities with flush toilets, hot showers and solar lighting. Each morning, hot beverages are delivered to your cottage, allowing you to awaken gently and savor the early morning sounds of the forest. The central lodge consists of an elevated lounge and bar serving local and imported beverages, and dining facilities offering a blend of international and locally flavored cuisine, prepared using fresh local ingredients whenever possible. Terrace dining under the night sky is an appealing alternative. Fireplaces add warmth and atmosphere to cool evenings and provide a cozy, relaxing environment in which to discuss the day’s adventures. 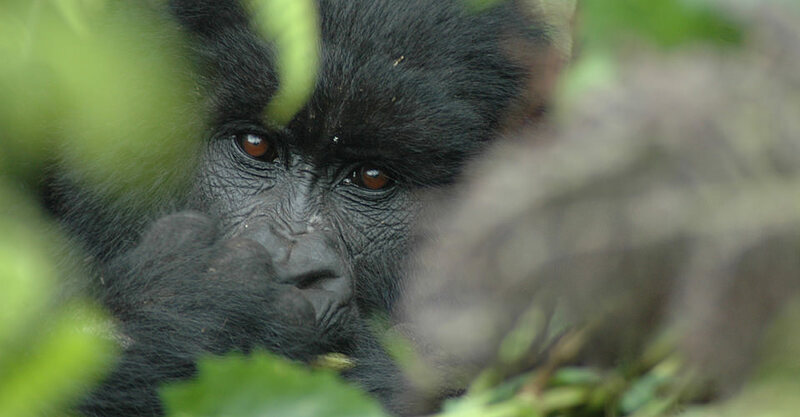 Gorilla trekking is the primary focus in Bwindi Impenetrable Forest, though a host of other nature and cultural activities is also . 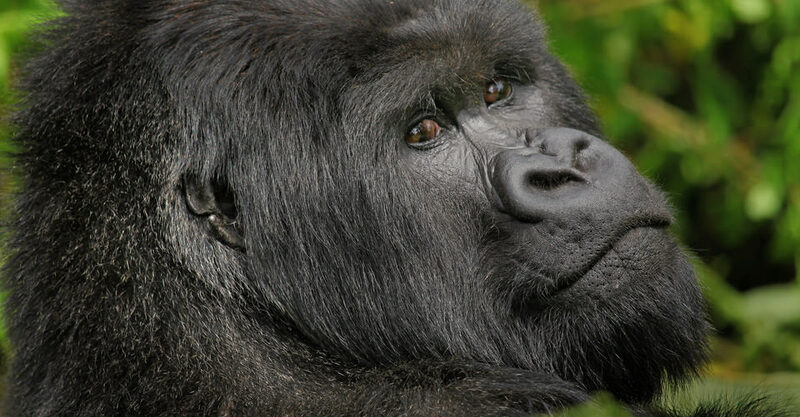 To participate in one of the most extraordinary wildlife viewing opportunities on the planet, it is essential to pre-purchase permits: only eight visitors per day, per family of habituated gorillas, are privileged to spend up to one hour watching these highly endangered creatures. Birdwatching in the park is also a popular pastime, with nearly 350 bird species recorded. 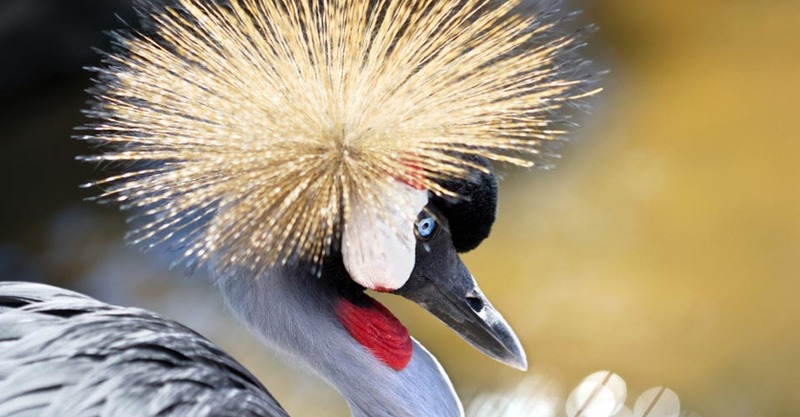 Of particular interest are the 23 species endemic to the Albertine Rift and at least 14 recorded nowhere else in Uganda. Butterfly watching is possible in the forest also, with Bwindi home to over 200 species. 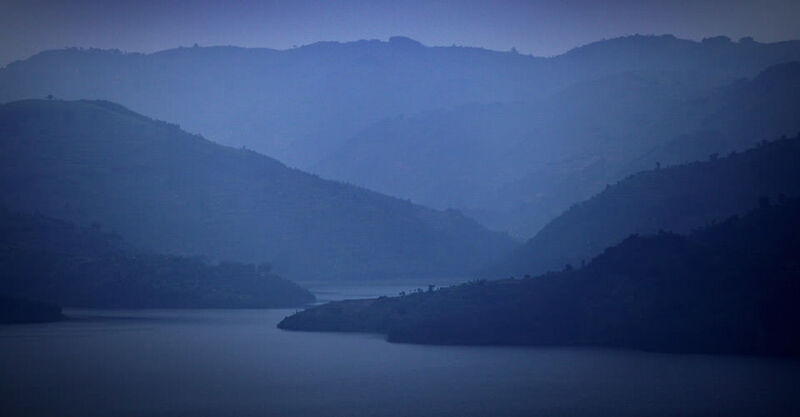 Forest walks and tours of local villages and tribes round out the optional activities. Ten large thatched cottages overlook the clear Munyanga River and face the dense jungles that are home to half the world’s endangered mountain gorillas. Suites offer privacy, serenity and comfort. Mahogany Springs Lodge enjoys one of the finest locations in Uganda’s Bwindi Impenetrable Forest. 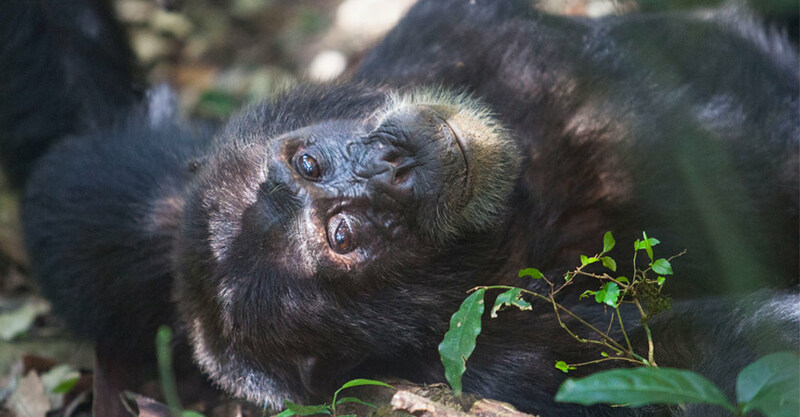 Eight large thatched cottages and two family rooms overlook the clear waters of the Munyanga River and face the dense jungles of the national park that’s home to half the world’s endangered mountain gorillas. 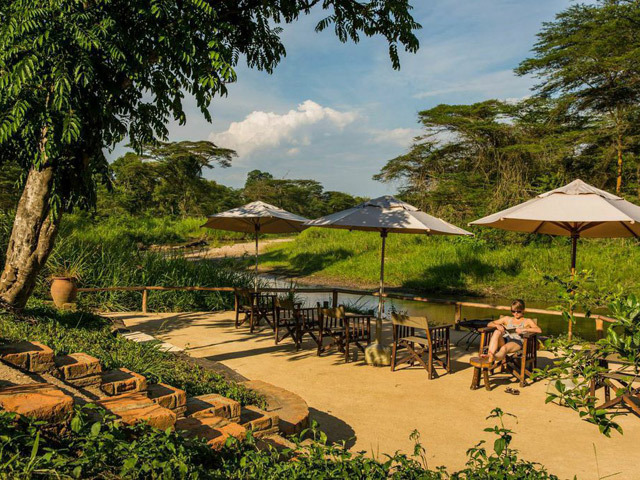 The lodge combines privacy, serenity, scenery and exceptional comfort to create a gorilla and birding safari base that has few peers. Every room at Mahogany Springs is a spacious suite, with large double doors and windows that bring the outdoors in. Each suite has a balcony overlooking the verdant valley. Suites have hardwood floors, minimalist wood beds with crisp white linens, writing desks and bathrooms with terra cotta mosaic-tiled showers. The main building features high ceilings under thatch and wrap-around terraces that survey the panorama of river and forest. Enjoy a glass of wine at the impressive wooden bar, or relax in front of the double-sided fireplace with a book or board game from the library. Enjoy deluxe accommodations with panoramic views of the Volcanoes Mountains from this brand-new lodge at the edge of Volcanoes National Park, perfectly situated for convenient access to gorilla trekking. This beautiful, brand-new lodge offers deluxe accommodations in close proximity to Volcanoes National Park, home to Rwanda's endangered mountain gorillas. Surrounded by lush gardens and incorporating natural materials of wood and local stone, the lodge's 13 spacious guest rooms have a host of amenities including Wi-Fi and flat screen TVs. 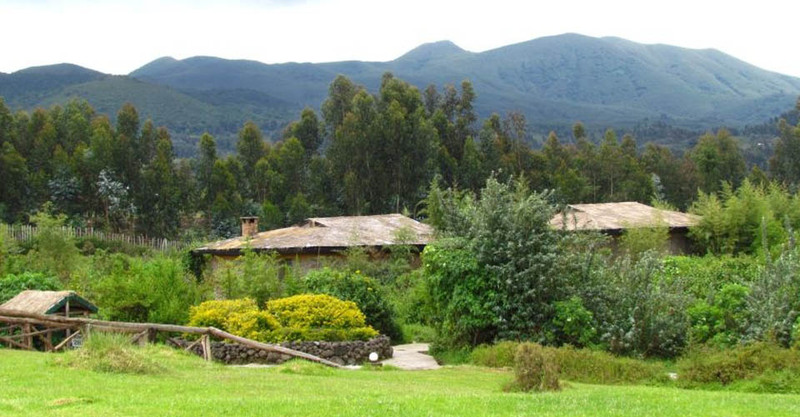 Enjoy the panorama of the Rwenzori Mountains from private verandas with cushioned chairs, then retreat indoors to your comfortable, air-conditioned room furnished in earth tones and offering lounge space plus a king-size canopy bed (or two twins) dressed in crisp white linens and festooned with romantic netting. Large en suite bathrooms have open stone showers and double wash basins. The restaurant, bar and lounge area offers a sweeping view of the volcanoes and emerald-green hills clad in rain forest. 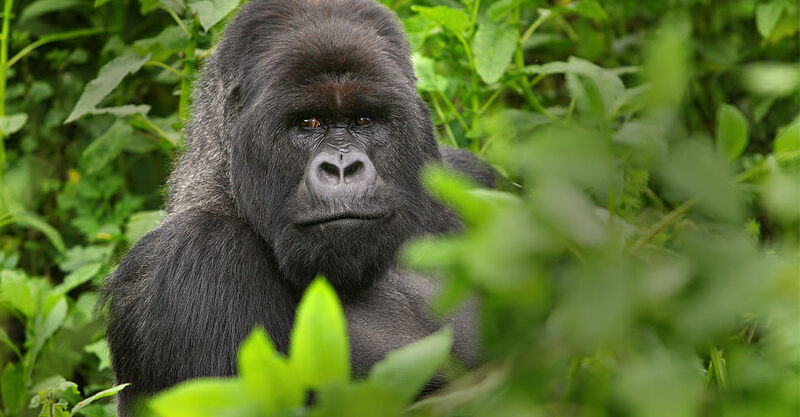 After your gorilla trekking adventure, retreat to a hammock in the garden, enjoy a dip in the pool or indulge in a traditional sauna, steam bath or massage at the spa. On one of Kigali's most attractive boulevards, this relaxed, elegant five-star hotel has air conditioning, a pool, multiple restaurants and a friendly atmosphere. Newly renovated rooms showcase pan-African style. The Kigali Serena Hotel is located in the center of Rwanda's capital city of Kigali, six miles from Kigali International Airport. This relaxed yet elegant 5-star hotel is ideally located on one of Kigali's most attractive boulevards. With comforts such as air conditioning, a large swimming pool, multiple restaurants and a friendly atmosphere, the Kigali Serena is an ideal first stop on your Rwanda safari. The hotel is built around a polished granite atrium that showcases a fine collection of Rwandan art. 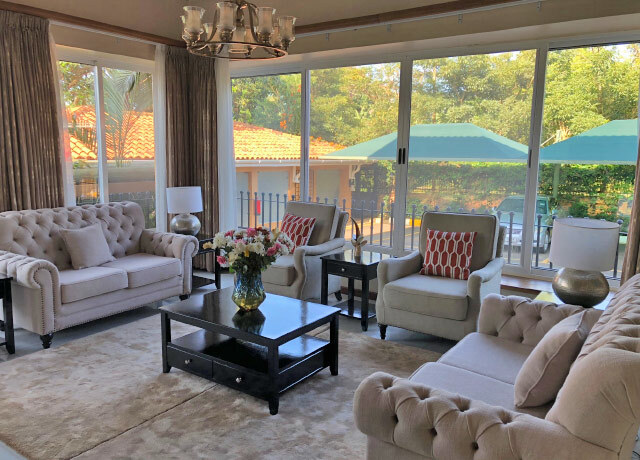 Newly renovated rooms are decorated in pan-African style with warm colors and include twin or queen-sized beds, luxury bathroom, flat screen TV, Wi-Fi, and all the amenities expected of a high-end property. The Executive Lounge and piano bar open onto a wide sundeck overlooking the pool, as does the Milima Restaurant, which offers a broad range of all-day buffet choices. For more casual fare, the Sokoni Café offers indoor and outdoor poolside seating. The Moorish-themed Maisha Spa offers a slate of recreation and relaxation options for weary travelers, from a pool set amid lush tropical gardens, a state-of-the-art gym, cardio and yoga studios, steam room, sauna, and massage therapy.